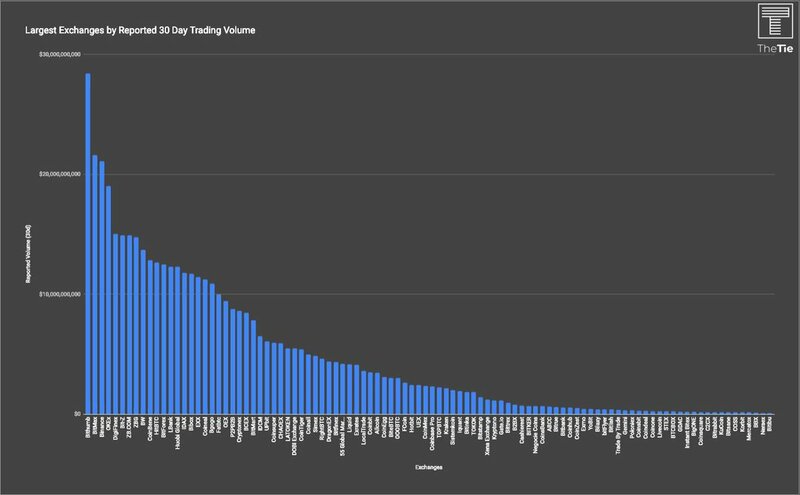 We started by pulling a list of the top 100 exchanges by reported trading volume over the last 30 days. We then used Similar Web website viewership metrics to calculate the estimated 30 day traffic to each exchange's website. After doing this, we divided reported volume for each exchange by the # of monthly website visits to determine the reported volume per visit. 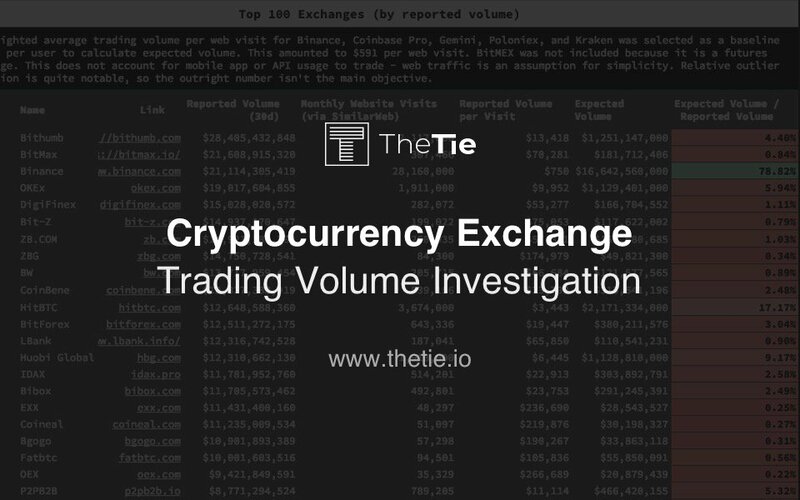 While website viewership metrics don't account for API or mobile app trading, they do provide a good basis of comparison across exchanges to identify suspicious reported volumes. The chart below shows reported trading volumes per exchange vs. monthly web visitors. While exchanges like #Kraken, #Binance, and #Coinbase show similarities between viewership and trading volume, others like Coinbene and ZBG have suspiciously high reported volume vs. views. 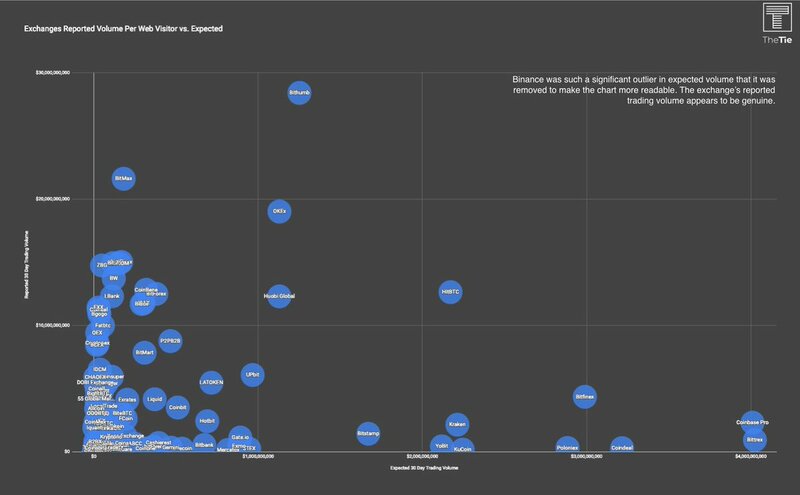 We then wanted to create a basis of comparison to calculate what we expected an authentic representation of exchanges' volumes would look like. To do this we took a weighted average of trading volumes across Binance, Coinbase Pro, Poloniex, Gemini, and Kraken. 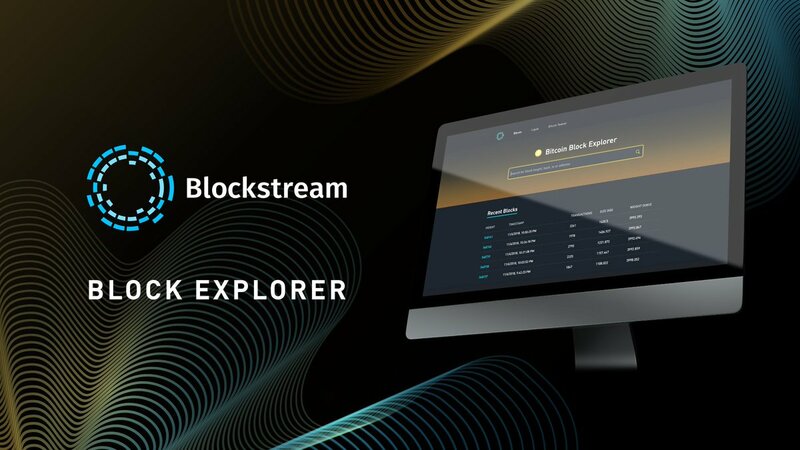 We selected these exchanges because of large usage among institutions, reputation within the market, and because their web viewership appeared consistent with their reported trading volumes. We found that these exchanges averaged $591 in trading volume per web visit. Next, we multiplied each exchanges' web views by this $591 to calculate what we would expect their volumes to look like. In the chart below the further to the left and top an exchange is, the higher that exchanges reported vs expected trading volumes. 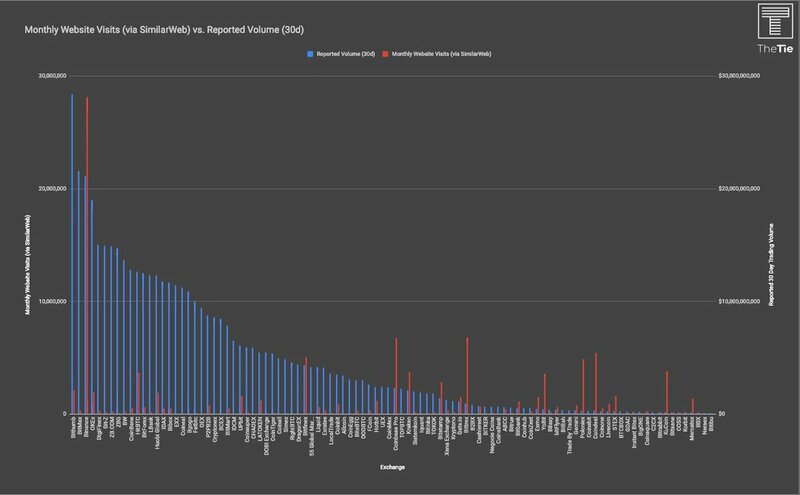 Some notable outliers were BitMax, Lbank, BW, and ZBG which had extremely high reported volumes, but expected volumes which in some cases were less than 1% of what they reported. 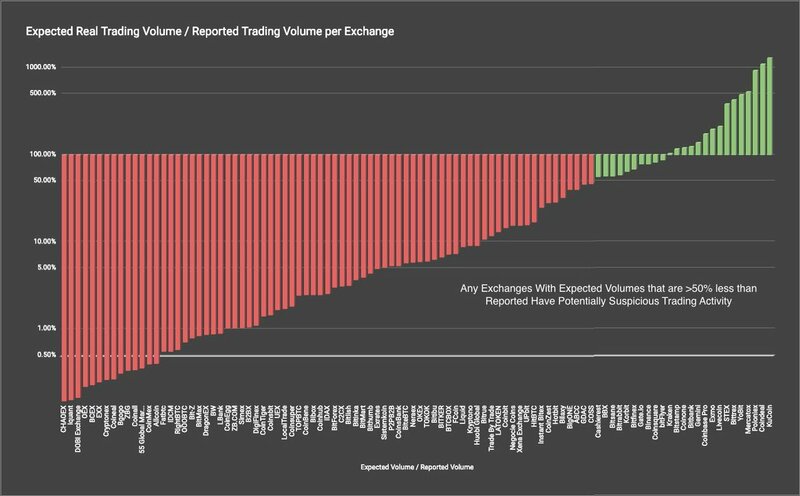 When we divided the top 100 exchanges' expected by their reported volumes, we found that 59% of exchanges' reported volumes were over 10 times higher than what we would have expected had they similar volume per visit to Coinbase, Binance, Kraken and others. 75% or exchanges reported trading volumes that were more than double what we would have expected. In the chart below those exchanges are colored red. 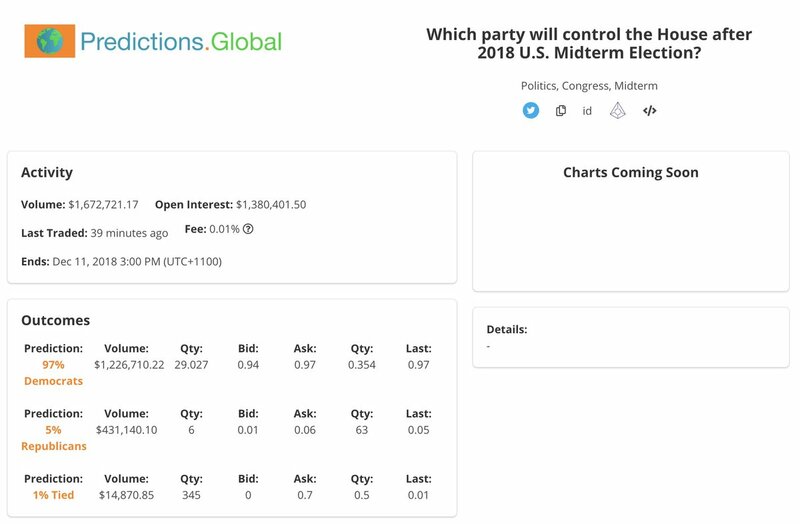 The exchanges that had expected volume/reported volume ratios greater than 50% were colored green. 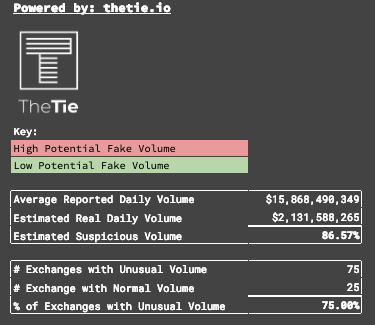 In total we estimated that 87% of exchanges reported trading volume was potentially suspicious and that 75% of exchanges had some form of suspicious activity occurring on them. 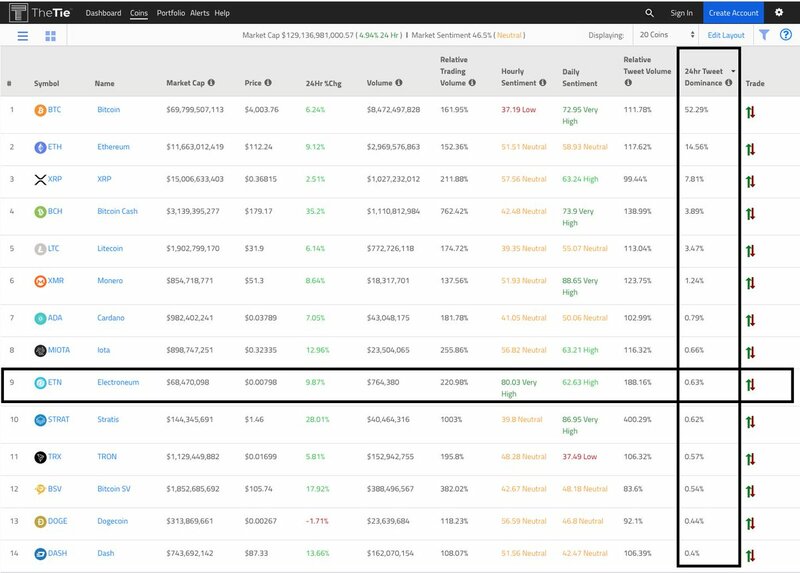 If each exchange averaged the volume per visit of CoinbasePro, Gemini, Poloniex, Binance, and Kraken, we would expect the real trading volume among the largest 100 exchanges to equal $2.1B per day. Currently that number is being reported as $15.9B. There were limitations to this report including some of the aforementioned, but the point of the exercise was to show those exchanges that appear most suspicious and to start a greater conversation around wash trading, transaction mining, and liquidity. We made all of the data available for free in a Google Sheet below. #Electroneum high sentiment alert. 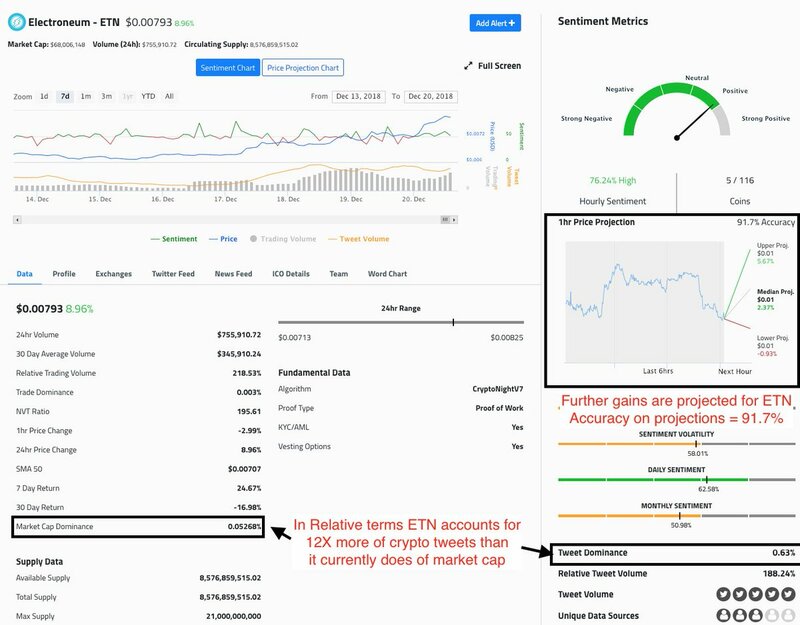 #ETN has both high hourly and daily sentiment. 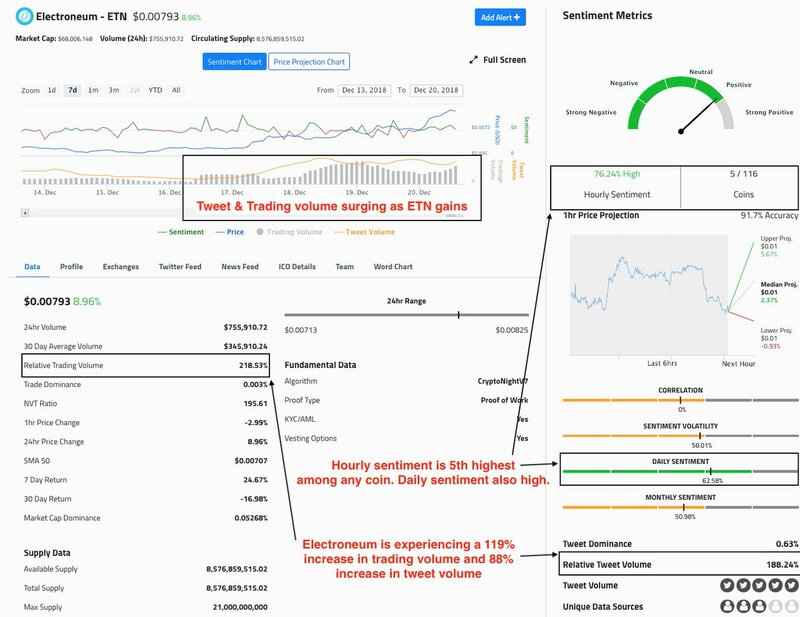 Tweet volume has surged 88% as ETN now represents .63% of all crypto conversation on Twitter. Le Venezuela entame sa 4ème journée sans approvisionnement stable en électricité. Des dizaines de personnes seraient déjà mortes dans les hôpitaux vénézuéliens. La panne généralisée d’électricité au Venezuela est traitée comme un fait divers par la presse généraliste française, alors que des dizaines de milliers de vie sont en jeu. 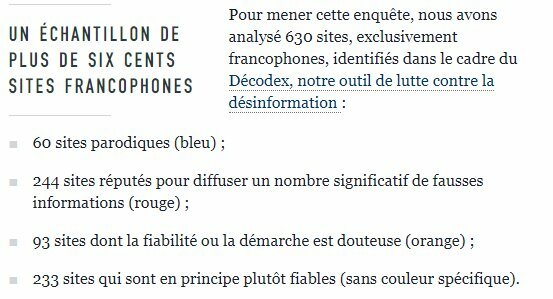 Pourtant, il s’agit d’une menace majeure à laquelle toutes nos sociétés sont exposées. 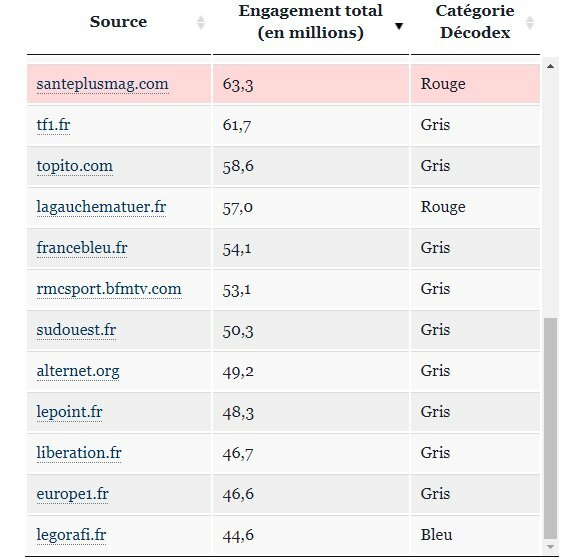 Un blackout, ce sont des populations entières exposées à des pénuries et des risques mortels. 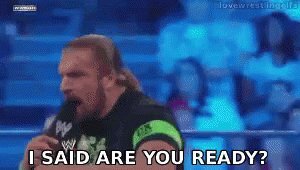 Ce thread a pour objectif d’expliquer ce que c’est qu’un blackout, ses déclencheurs, et surtout ses conséquences sur la société. 0/ Regardless of the market conditions, the #crypto and #blockchain space is active as ever. 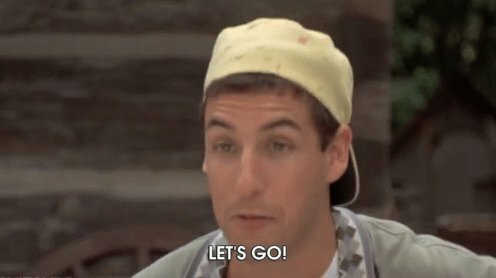 Let's go through some of the eye-catching, project-specific news that took place over the past 24 hours or so, shall we? 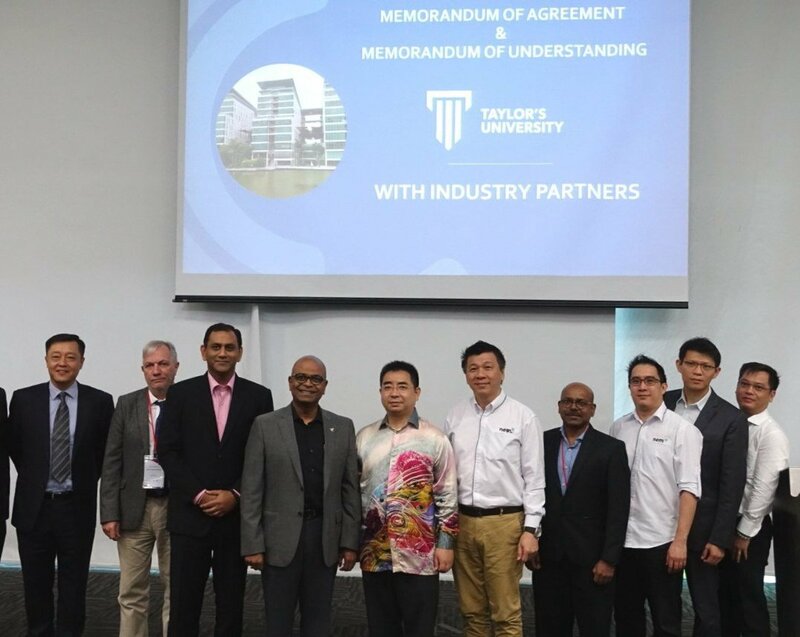 1/ 🇲🇾 @NEMofficial's SEA arm - @NEM_SEA - announced an MoU reached with Taylor’s University. NEM SEA will assist the Malaysian university's School of Computing and IT in many ways. E.g., help author a syllabus devoted to #blockchain, run some of the students classes, and more. 2/ 📣 @DharmaProtocol unveiled #DharmaLever, a way for users to *trustlessly* borrow/lend #crypto in large volumes on a global scale. Will feed and draw credit liquidity from Dharma's growing network of relayers (e.g. @Bloqboard, #QuickLine). Going to try to tweet this as I work through it. Someone out there doesn't like facebook. At least 3-4 different freshly minted botnets are retweeting anything with the #DeleteFacebook hashtag. the 1st "set" of bots is very similar to the elon musk cryptocurrency scammer bots that are running wild on twitter.